Kids can now immerse themselves in the outdoor hiking experience with the Sun & Sand Sports selection of kids’ hiking shoes. The best thing about the Sun & Sand Sports shopping experience is that you can browse through our selection without leaving the comfort of your home. 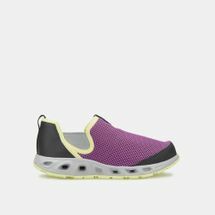 Our online store has an exclusive category for kids’ hiking shoes; all are durable enough to handle any outdoor adventure. 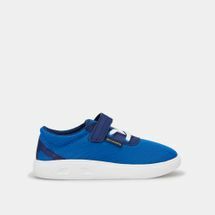 Help your little one go out on a hike in comfort and style and shop from a wide variety of fun styles, colours and brands. Start your online shopping journey with us today and help your kid stay focused on the trail ahead. Our selection of kids’ hiking shoes includes kids’ hiking boots and lightweight trail shoes that not only provide a comfortable fit but also stand the test of time in terms of durability and high-quality materials. 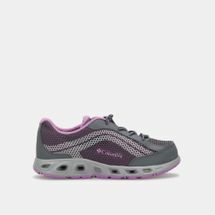 Available in an assortment of sizes (such as low, medium and ankle-length), our selection of hiking shoes online will suit your child’s individual needs. 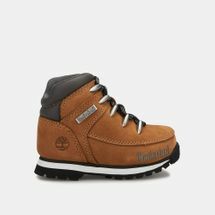 Dispel any fears of your kids’ hiking shoes tearing and buy from a top-notch selection of outdoor brands for your child now. 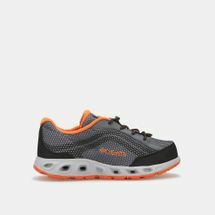 For a faster and more comfortable trek, we also offer lightweight trail shoes so your kid feels as light as a feather as they embark on their outdoor journey with you. Why not go for functionality and quality in your kids’ hiking shoes such as those that mould to their feet in order to prevent any injuries. 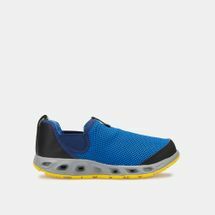 Help them overcome exhaustion and adventurous terrains with the right pair of creative and modern hiking shoes online now. Always stay on top of the latest trends and help your kid explore the outdoors with the Sun & Sand Sports online store. Get your order delivered to your doorstep in Dubai, Abu Dhabi and the rest of UAE.